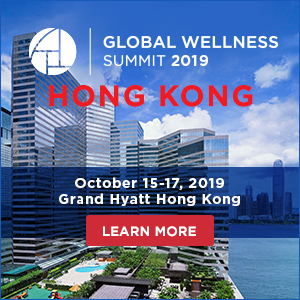 In times of rising healthcare costs, ageing populations, increasing obesity challenges—coupled with an encouraging growing focus on sustainable living, the global spa industry is looking to rebrand as the wellness industry that plays a key role in preventative care and overall well-being. That was a key message at the Global Spa and Wellness Summit in early June where spa industry leaders from 40 countries convened in Aspen, Colorado. Under the theme of Innovation through Imagination, the 300-plus participants discussed new ideas and strategies to lead to a sustainable, greater future. "As we say in France, 'let's walk watching the moon rather than watching our shoes,'" said Summit chair Philippe Bourguignon, vice chairman, Revolution Places and CEO, Exclusive Resorts. This renewed focus on wellness can already be witnessed throughout the industry. The conference itself rebranded this year, adding "Wellness" to its name. 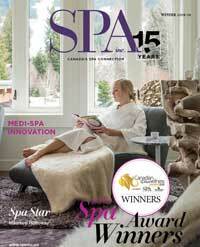 The global online spa resource, SpaFinder has rebranded to SpaFinder Wellness. Increasing recognition is given to the world's spa industry for its role in well-being, and its potential role in a healthier society of the future. Rebranding and reinventing is a tricky process, and true innovation is required. 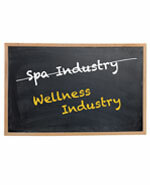 If the spa industry is to complete its transformation from one that offers a menu of treatment options to select from, to one that is providing active education on how to live a healthier life, as suggested by Dr. Joseph Hutter of the Institute for Health Care Delivery Research at Intermountain Healthcare, creative repositioning and education will be required. When learning about innovation, why not ask the very best? Ted Souder, head of industry & retail, Google, shared his insights at the Summit, and in a nutshell his advice was to innovate… now. "We are in the middle of the acceleration of everything," Souder said, adding that the cost and ease of starting a business has never been better, thanks to technology. His advice is to involve every person on-staff in the process. "Everyone should be empowered to put ideas forward—leverage every single person you have." At the end of the day, Souder says there are three key goals to keep in mind to help grow your business as you move forward. First, he says, is to win the moments that matter. This means you must connect with your customers every step of the way, from enticing them with information that matters when they are looking for a spa to visit, through every point of contact from the time they book through the moment they leave the spa—and beyond. Secondly, he says to make better decisions, and from his Google perspective, this relates to using online analytics to determine your best messaging and offers. Finally, in this day and age, you must go bigger, faster, by cutting out time wasters and focusing on the solutions and offering your clients want. Learn from mistakes and "jump in 120% and go all out in digital technology now. It's the key to business growth." 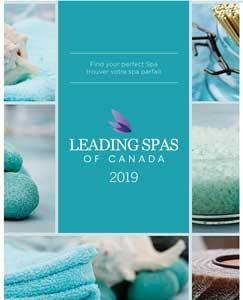 While the conference has closed, the question remains whether this suggested transformation from the 'spa' industry to a 'wellness' industry is fully representative of our Canadian industry. Where do aestheticians fit in? What about nail art or medi-spas? The transformation is already well underway across Canada. The question is, will our healthcare system place greater value on the services our industry can offer? These are exciting times. 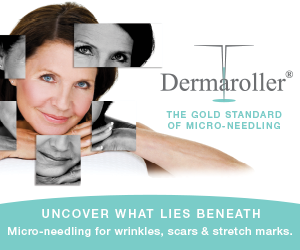 Please share your views with us: Twitter, FB, or contact the editor at hednie@dvtail.com.